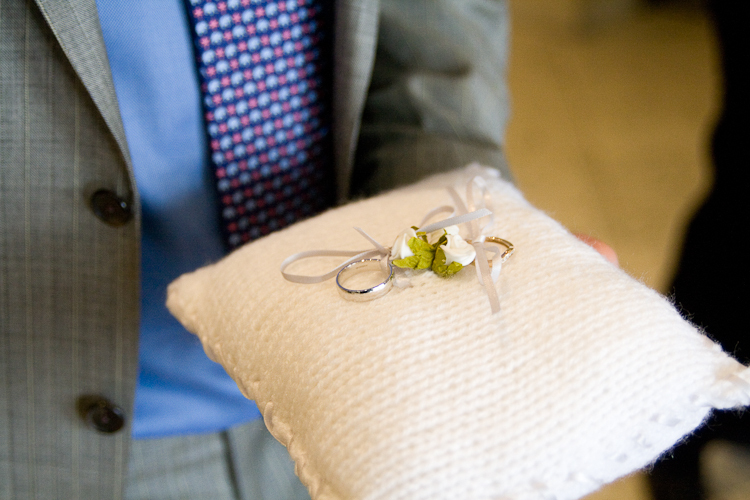 The Hollis is a knitted wedding ring cushion edged with ribbon. 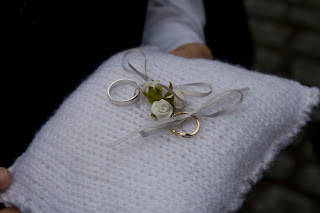 The rings are held on with more ribbon. Decorated with small roses in the centre. Fully customisable to fit in with your special day.